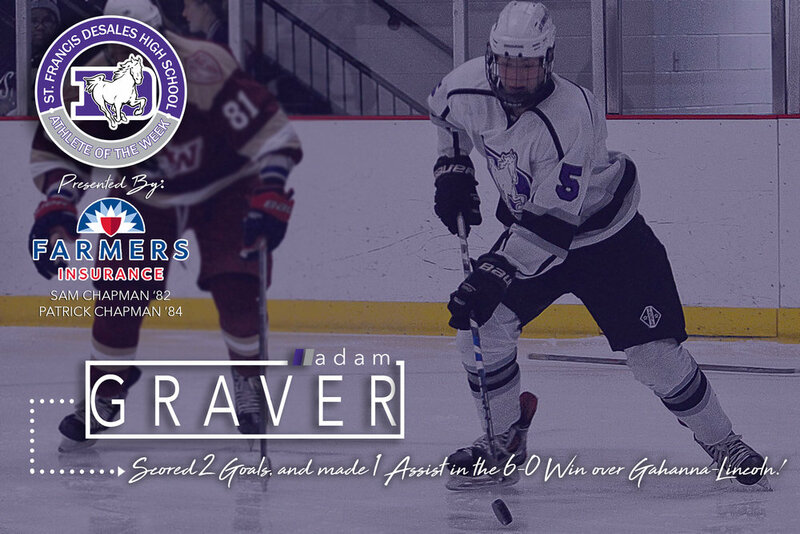 The third edition of the St. Francis DeSales Male Winter Sports Athlete of the Week (1/29 - 2/3), presented by Farmers Insurance Group, is junior hockey player, Adam Graver. "Adam shows great athleticism and dedication. In our win over Gahanna this past Friday Adam scored 2 of the 6 goals and assisted in one of them. Even though our record is not "winning" Adam, one of the captains, along with the other team leaders keeps the attitude positive and the energy high. On the ice he gives 110% and with our short roster he is on the ice more playing both defense and then to return as an offensive player"